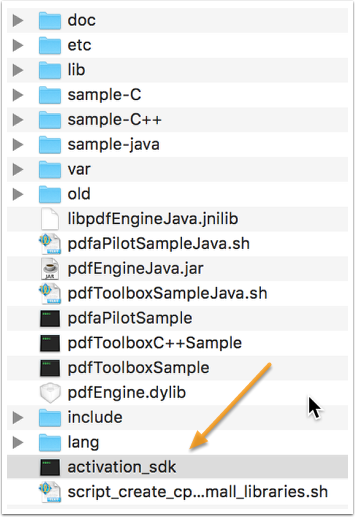 After downloading and unarchiving the pdfToolbox SDK folder you will find a command line tool "activation_sdk" in the library folder. You should also have received a License PDF together with the download path for the library. 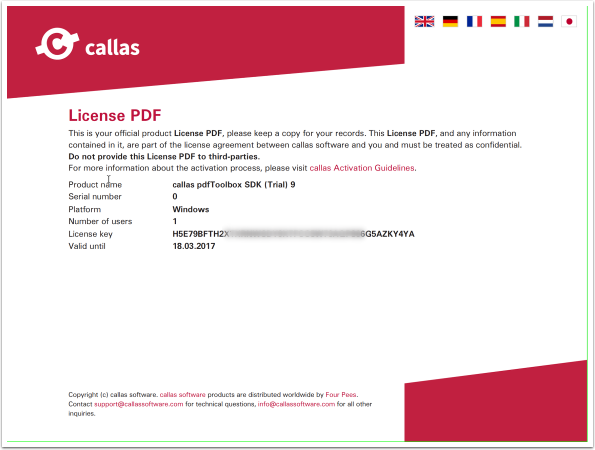 (If you do not have a License PDF, please send an email to sales@callassoftware.com.) The License PDF contains your License key as well as some other information. In addition, you have to insert the License key (as printed on the License PDF) into each initialization call to the library as described in the SDK documentation.